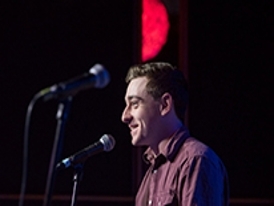 Riley Smith is a fiction writer currently serving his second term as Editor-in-Chief of UVic's undergraduate literary journal This Side of West. 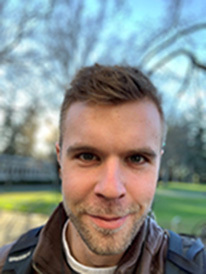 He was born in Seattle, came of age building straw bale houses in Utah, and is currently in his fourth year of Writing at the University of Victoria. Susan Z. Martin is a 4th year student in the Health Information Science program with an expected convocation date of November 2019. She has an Anthropology undergrad from UVic (2011) and was also lucky enough to live in Sweden from 2012-2014 while pursuing a Master's in International Health (public health with a focus on low and middle income countries). She is a voracious reader and gives this lifelong habit much of the credit for her skill with words. Amogha Lakshmi Halepuram Sridhar is a first year English and History student from India. She is currently an editor for The Albatross. 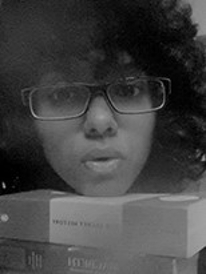 When she is not obsessing over Shakespeare, she is off somewhere in the library writing poetry about Indian mythology and a postcolonial fairy tale about collecting stars. When she grows up, she wants to be Anne Carson. Emma Grace Carter is an interdisciplinary artist from Fort McMurray, Alberta. Her art largely centres on poetry and the ways in which it intersects with other forms. This includes photography, embroidery, collage, and printmaking. More of her writing can be found in Issue 10 of The Warren Undergraduate Review and Issue 17 of This Side of West. She is a Gemini, lunar Aquarius, and Leo ascendant. Second year writing student Katy Weicker has a passion for honest, character-driven story-telling. She is currently a staff writer for Camosun College's Nexus Newspaper. 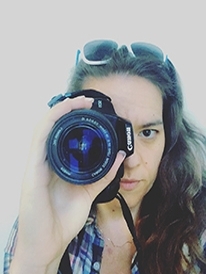 Additionally, her work has appeared in several publications including The Martlet, Island Writer's Magazine, Beside the Point Literary Journal, and UVIC's The Warren. 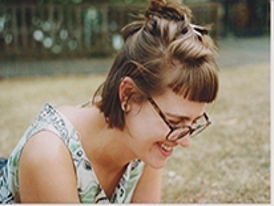 Kiley Verbowski is in the thick of her second last semester in UVic's Writing department. She has an essay forthcoming in the Warren’s 10th Annual Undergraduate Review, and is president of The Lampoon, UVic's comedy club. She’s always been a fan of odd jobs but her favourite by far is co-owning Over The Moon Puppet Theatre, a local and mobile children’s entertainment company. Talen is a biology and environmental studies undergrad who is grateful to be born and raised on the traditional unceded territories of the Lekwungen-speaking peoples. 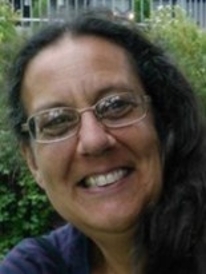 An ecofeminist, science communicator and fish enthusiast, Talen’s poems centre around themes of nature, society and personal growth, often intertwined with moral conflicts that arise from a changing climate. 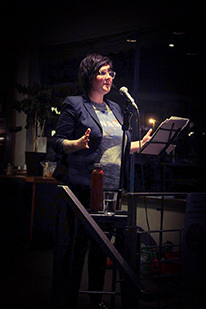 Talen has shared public speaking stages in the Spoken Word community, as well as at UVic events and around Greater Victoria, and has an interest in merging scientific research and political activism through poetry. 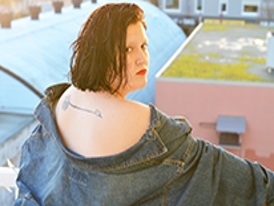 Juliette Blake Jacob (born August 7, 1985) is a queer spoken-word poet, a Canadian Individual Poetry Slam semi-finalist, and an essayist and storyteller living in the Pacific Northwest. Her poetry focuses on science, community, and transformation, and her aspiration is to make audiences feel existentially comfortable and find their way home. She has contributed to a number of anthologies and journals, conducts guest lectures and workshops, and holds a university education in leadership with a specialization in linguistics and literature. Her first book of poetry, Unreservedly Beloved, is scheduled for release in late 2019.